Family Fun Magazine had some great ideas in the March 2012 issue of fun ways to add an element of surprise around your house. Poem creation verse-by-verse-post up a large piece of craft paper or butcher paper. Write the first line of a verse on it. Leave a pen, pencil or marker nearby so others can add a line too. Read the end result and enjoy lots of laughs. Mirror Messages-using a white bar of soap such as Ivory, write a sweet or funny message on a mirror in a place where it will be seen just as the bathroom. Make someone's day brighter with a well-placed message. Create a Collage one picture at a time- we did a project like this in modern art. Put up your craft paper in an easily accessible place. Draw some lines or irregular shapes. Color it in any way you would like (solid, striped, etc.). Invite other family members to draw another line or shape where you left off and keep going until your family masterpiece is complete. Stay tuned for more ideas on how to have more fun as a family in future posts. I am collecting suggestions from families on this topic. 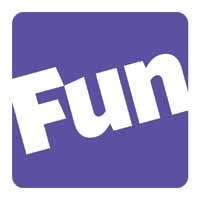 Visit FamilyFun Magazine on Pinterest for lots of great ideas on having fun family time and more.